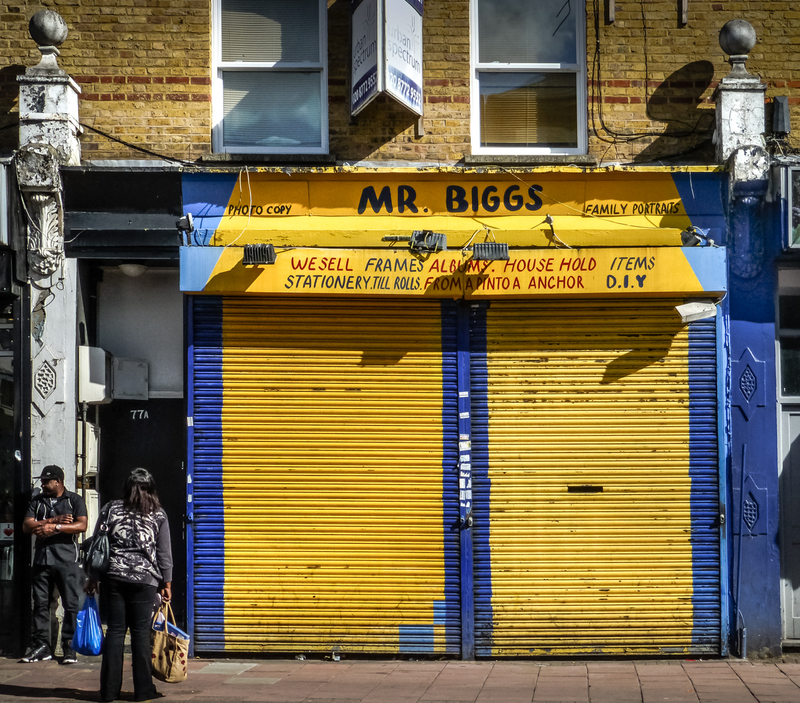 Mr. Biggs, 77 Atlantic Road, Brixton, Borough of Lambeth, London SW9, 2012 • Charming DIY / family portraits mash-up in deepest Brixton. Not sure what “From A Pinto A Anchor” means. The frontage was still there in 2017, but it seemed to be inhabited by Brixton Pound. Granted, it should have really been ‘an anchor’.